Michael Williams ready for a spot of grocery shopping. Michael Williams…. Michael Williams…. MM CC McWilliams…. the big M. The Mster. Master Williams. What can be said about a man who simply describes himself as Elena Ferrante. A man whose mother thinks he’s cool. A man who has been mistaken for a dead, English actor and lived to tell the tale. A man with a beard. But wait, there’s more. Michael Williams is either best known as the director of the Wheeler Centre or popular radio host on Radio National. He is both a regular guest on The Book Club with Jennifer Byrne, and a top tier writers’ festival speaker. In short, he excels at everything he does, and he does quite a bit. The Wheeler Centre is possibly Australia’s preeminent hub for literature and creative conversations. It’s in Melbourne and I’m from Sydney so I may get excommunicated from my state for saying that. Since 2010 The Wheeler Centre has hosted more than 1600 events with more than 2200 speakers. Their goal for 2020 is to be nationally and internationally renowned as a centre for innovative conversation…. job done early. Michael stands firmly at the healm of this proud institution. Unsurprisingly he’s quite the inspiring speaker himself. You can listen to his dulcet tone at 9am Saturdays on Radio Nation on his show Blueprint for Living. He talks about food, travel, architecture, and everything you need to live a good life. Apparently he even covers fashion. Is there nothing he does not know? 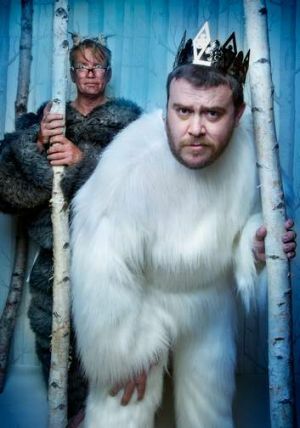 If you miss it on Saturdays it is replayed 6am on Sundays, and you can listen to the podcast anytime. 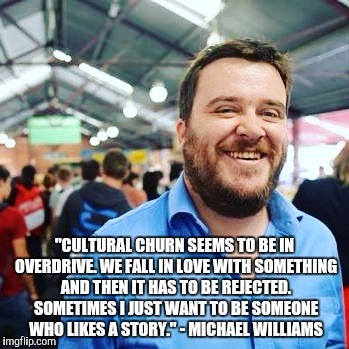 Prior to this Michael was the Head of Programming at the Wheeler Cente, worked at Text Publishing and Triple R. As such he’s a prominent figure in the Australian book industry. Find Michael Williams on Radio National here. Find Michael Williams at the Wheeler Centre here. Find Michael Williams on Twitter here. Find me drinking gin and crying into my armpit because Michael Williams and I are the same age and I haven’t even organised myself to brush my teeth today. If you have information you’d like to add to this entry please leave it in the comment section. If you’d like to learn more about Robinpedia go here.